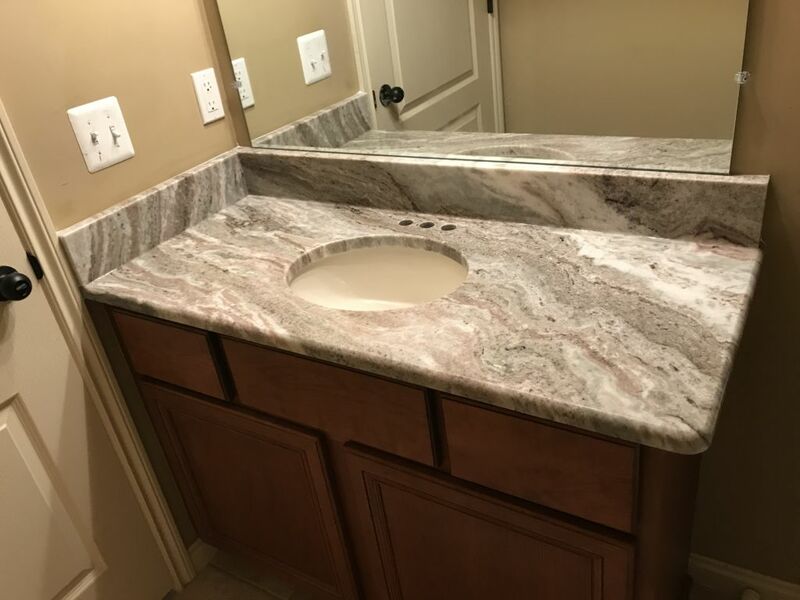 Gorgeous Brown Fantasy Bathroom Vanity Top with oval shaped under mount sink, With Waterfall edge And beautiful book match back splash. This project was done for another happy customer in Macomb Twp. Michigan.